Cameron Donald Joseph ( Don ) 1936 – 2018 – Passed away on Thursday June 7, 2018 at K-W Health Centre of Grand River Hospital at the age of 82. Loving husband of Carole Stoeser of Kitchener. 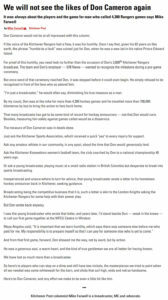 Don will be remembered by his sister Noreen Levewque ( Rosaire ) of Montreal and his brother Gerald Cameron ( Liz) of Riverview, New Brunswick. Brother in law of Dennis and Judy Winterburn of Kitchener, Ronald and Linda Rumig of Waterloo, Gregory and Donna Stoeser of Waterloo and Gerard and Dolores McKenna of Summerland B.C. Don will also be missed by nieces and nephews. Predeceased by his parents William & Molly Cameron, his siblings Lois (William) Anderson, Mary ( Donat) Landy, Rev. Francis Cameron, Miriam ( Robert) Colville, Irvin “Sparky” Cameron, Teresa ( George ) Rafferty, John Cameron and Mildred ( George) Thomarat. Don was a devoted Catholic and member of St. Francis of Assisi R.C. Church in Kitchener. Don was a Broadcaster for over 60 years with CKCO TV & CKKW Radio and later 570 CKGL. 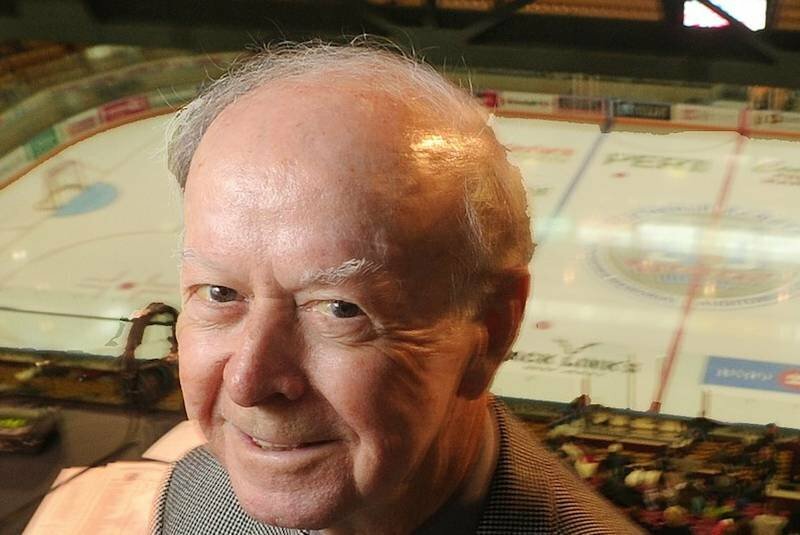 Don was known as “The Legend” and was the Kitchener Rangers play by play announcer since the teams inception, “ stepping back” two seasons ago. 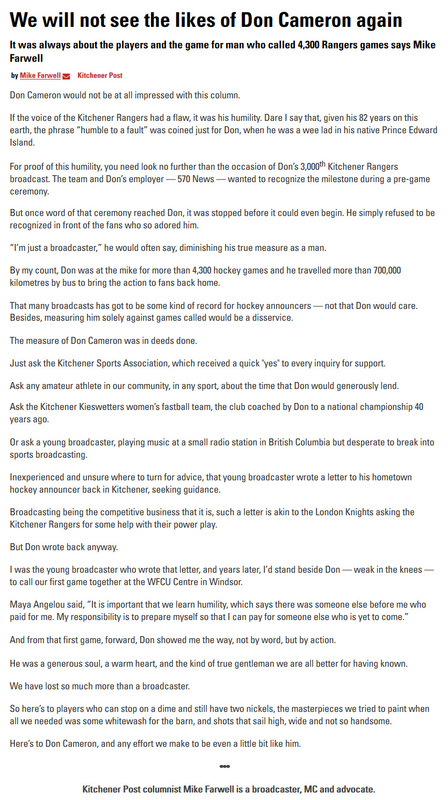 Don will always be remembered in our community and will continue to be in the hearts of every Kitchener Rangers Fan. Friends are invited to share their memories of Don with his family during visitation at the Kitchener Memorial Auditorium, 400 East Ave, Kitchener, ON, on Thursday June 14, 2018 from 4 p.m.- 9 p.m. Remembrances at 8:30 p.m. with a brief memorial tribute. A private family funeral will be held on Friday. Interment to take place at Williamsburg Cemetery, Kitchener. Condolences for the family may be arranged through the Erb & Good Family Funeral Home 171 King St., S., Waterloo at www.erbgood.com or 519.745.8445. Please consider bringing a bag of potatoes or a cash donation to the AUD on Thursday towards the “Don Cameron Potato Drive” supporting the House of Friendship.